Discussion in 'Dovetail Live Article Discussion' started by TrainSim-Jay, Mar 2, 2018. Introducing Train Sim World: Founders Edition, coming exclusively to Xbox One on March 9th! 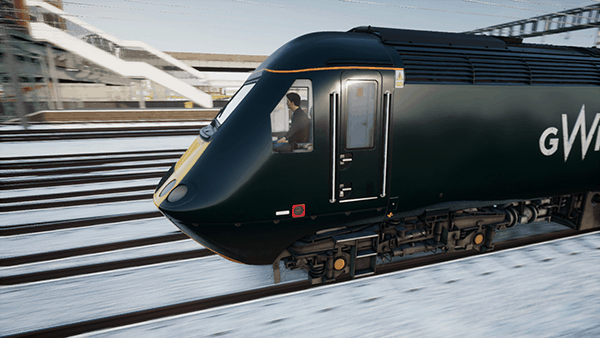 Available to Pre-Order now, Train Sim World: Founders Edition brings the bustling experience of the Great Western Main Line to your Xbox One console! We've achieved this by a process of optimisation, that is spending time really digging into the game and even the core game engine and identifying where time is being spent. We've optimised game models, lighting systems, the way we handle scenery, physics systems, how we make use of memory and much more. Is it a safe assumption that the findings from all this work have also been backported to the PC version with a consequent step change in the performance of said PC version? I just hope Matt's not so carried away enjoying social time with his son that he overlooks the issues with the PC version. Very exciting! Glad the console finally gets to experience a true simulator. Plan to pre order it as soon as I make it home! Train Sim World and TS2018 are not compatible, so nothing that has come out for TS2018 will come to TSW until someone completely rebuilds it. For now TSW only has the 3 Routes available on Windows + the announced NEC Route. And TSW on X-Box might get those same Routes sometime later..